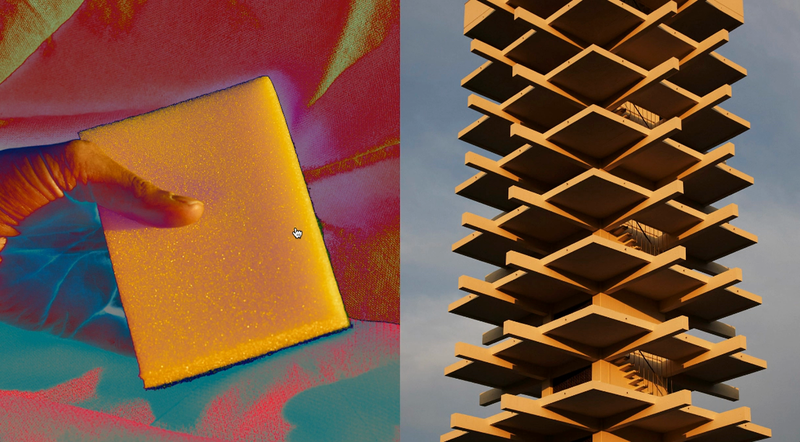 As you might expect, twomuch's portfolio website is as playful as the work it contains. 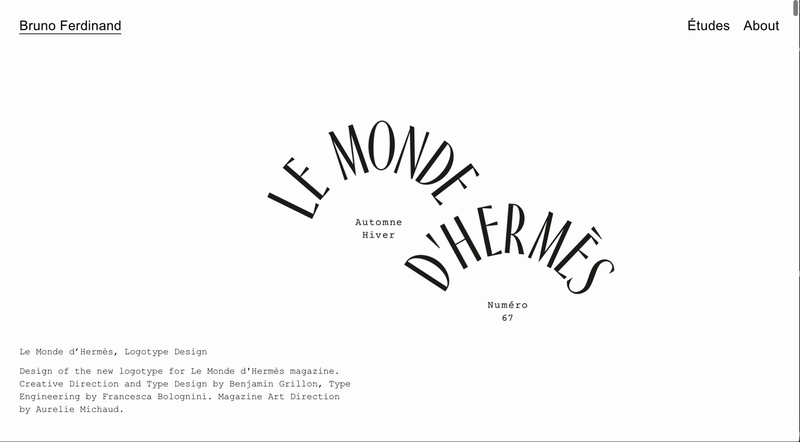 Lovely simple site with a few fun elements for Hyper Studio. 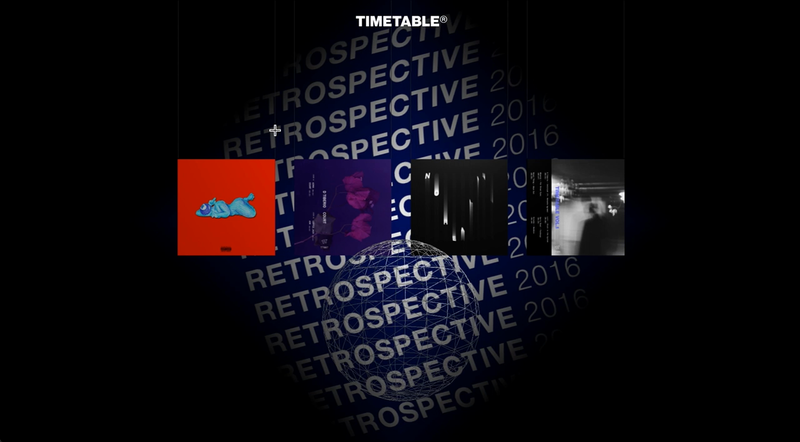 Timetable Records was featured at the end of last year, but we couldn't resist sharing their 2016 round-up page which makes you play for the music. 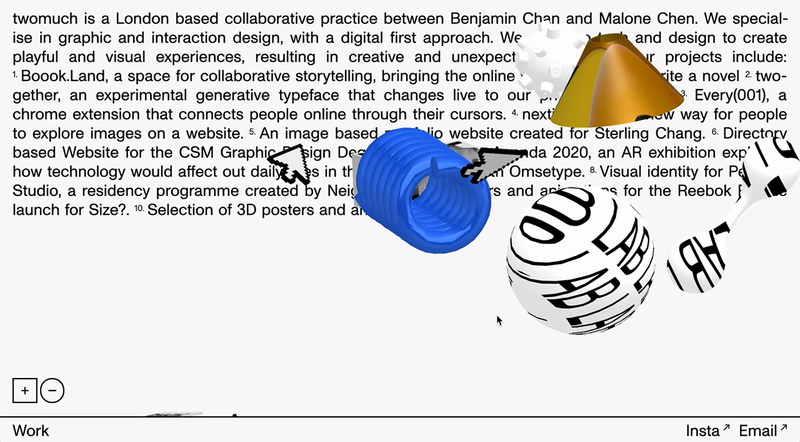 A single page site with splatterings of simple but great 3D interaction. A long scroll portfolio with colour changing sections and a subtle but lovely rotate on when transiting between sections. An interesting use of layering, using the project titles as a mask to invert the images. Not to mention some excellent photography as well.